The United States is not planning to build any liquefied natural gas (LNG) terminals in Ukraine in short term. However, Kiev could receive LNG via projected terminals in Croatia and Greece, US Department of State Special Envoy and Coordinator for International Energy Affairs Amos Hochstein told Sputnik. WASHINGTON (Sputnik) — The floating liquefied natural gas (LNG) terminals planned to be developed in Croatia and Greece could deliver gas to Ukraine, US Department of State Special Envoy and Coordinator for International Energy Affairs Amos Hochstein told Sputnik. "Ukraine doesn’t have a terminal, and that’s unfortunate. We are working to see if we can help countries develop floating LNG terminals, one in Croatia, Krk Island, one in Greece to be able to go into Bulgaria," Hochstein said. "Both of those, but particularly the one on Krk Island, could supply Ukraine as well, so we can see a real diversification of the market; that would be a really important development," he added. The terminals could also enable the global market to supply LNG to countries across Europe, including Bulgaria, Romania, Hungary, Serbia and the Baltics, among others, Hochstein noted. 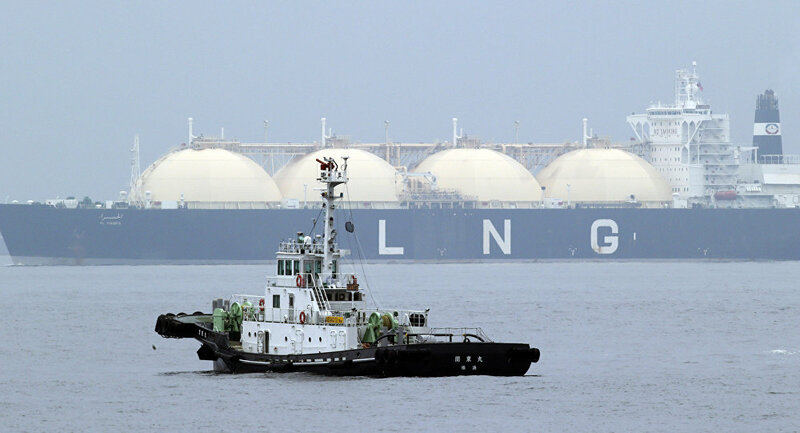 On April 27, the Portuguese energy company Galp Energia confirmed to Sputnik that the first US cargo ship carrying LNG delivery arrived in Portugal. Earlier in April, US media speculated that the arrival of US gas in Europe could cut natural gas prices and trigger price wars in the European market, which is dominated by Russian pipeline gas. Washington has long been arguing in favor of LNG exports to Europe, claiming it will help European allies reduce dependence on Russian energy imports. However, the cost of shipping natural gas from the United States to Europe remains high and requires sizable infrastructure investments. "I don’t see that as something that’s going to happen in the short term," Hochstein said. Since the 2014 outbreak of the Ukraine crisis, the country has sought to shift its energy imports away from Russia and toward Europe. Although Ukraine currently does not have any LNG terminals, it still considers buying LNG gas. In April, Ukraine’s former Minister of Energy and Coal Industry Volodymyr Demchyshyn told Sputnik that Ukraine could receive LNG from the United States through Europe, including through Poland or Lithuania. Demchyshyn also said there was a possibility Ukraine could buy LNG from Australia also through Europe. An adviser to Lithuania’s energy minister, Mantas Dubauskas, told Sputnik in April that Lithuania did not exclude the possibility of becoming a transit country for LNG deliveries from Australia to Ukraine.